Logger boots are iconic in a lot of ways; the classic style, 90-degree heels, heavy-duty soles...no matter what brand you choose, it’s all very similar: everything about logger boots screams toughness. But an unfortunate side effect of this durability and design ... (see full details) (see specifications) #15439. Logger boots are iconic in a lot of ways; the classic style, 90-degree heels, heavy-duty soles...no matter what brand you choose, it’s all very similar: everything about logger boots screams toughness. But an unfortunate side effect of this durability and design is the heaviness that it brings with it. Danner decided to tackle this issue head on - using their extensive knowledge of high quality logger design, they rebuilt these Danner Men’s 8-Inch Brown 15439 General Toe Waterproof EH Loggers from the ground up with one goal in mind: make them lighter without making them weaker. And they did it, too. You'll be shocked by the lightweight comfort of these rebuildable men's logger boots with the Danner reputation for quality to back them up. When you’re on the job, Danner knows that keeping your footing is key to a successful day. There are far too many potential hazards underfoot to take a chance at losing your step. That's why Danner has made these leather logger 8-inch EH boots with a broader foundation and the Danner Stitchdown design. By stitching the Nubuck uppers through the design's insole boards, you have a wider platform under your feet which means more stability in every step. Stitched to Vibram’s 360-degree logger outsoles, you can enjoy substantial edging and superior traction. The iconic 90-degree heel offer safety and the 607E industry standard. These general toe loggers meet or exceed ASTM F2892-11 standards for electrical hazard protection. And to extend the life of your investment, these lightweight logging footwear is recraftable by Danner’s own experience boot craftsmen. The uppers are made from 8 inches of top-grain Nubuck, oiled for water resistance and made just right for a durable and flexible fit that's ready to break into the contours of your feet for the perfect fit later on after extended use. The softer, but still tough, Nubuck has short break-in periods than typical leather without sacrificing durability. The 100% waterproof Danner Dry barriers allow moisture to escape without allowing water inside the brown boots, so you can enjoy dry feet all day from the inside out. Classic Danner hardware and double- and triple-needle stitching on the uppers reinforce the durability of the waterproof boots. With a reimagined, deeper toe box for more room, full-length insoles fit easily into these men’s general toe boots. 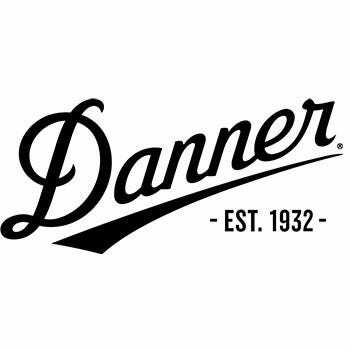 Danner’s own removable insoles greet your feet with comfort and support and can easily be replaced with other insoles for more specific orthotic needs. The key to the lightweight design of these waterproof Danner boots is the new approach to the midsoles. Rather than bury a heavy-duty metal shank inside rubber midsoles, Danner has combined the two for equal support with less weight, thanks to their latest Bi-Fit Technology. When the classic logger meets modern technology, you benefit from the re-designed and re-imagined Danner Men’s 8-Inch Brown 15439 General Toe Waterproof EH Slip-Resistant Loggers from Working Person's Store with lightest weight in high quality logging boots around. Enjoy the difference Danner can make in your day with the trust quality and reputation this brand puts into each pair of high quality work boots they make. Great boots right from the start. Very light and very comfortable Danner boots. I’ve only had them for two weeks and so far they seem to be very waterproof. I would definitely recommend Danner boots to anyone that works outside. Danner Boots: Men's 15439 Waterproof EH General Toe 8-Inch Brown Loggers is being added to your cart.